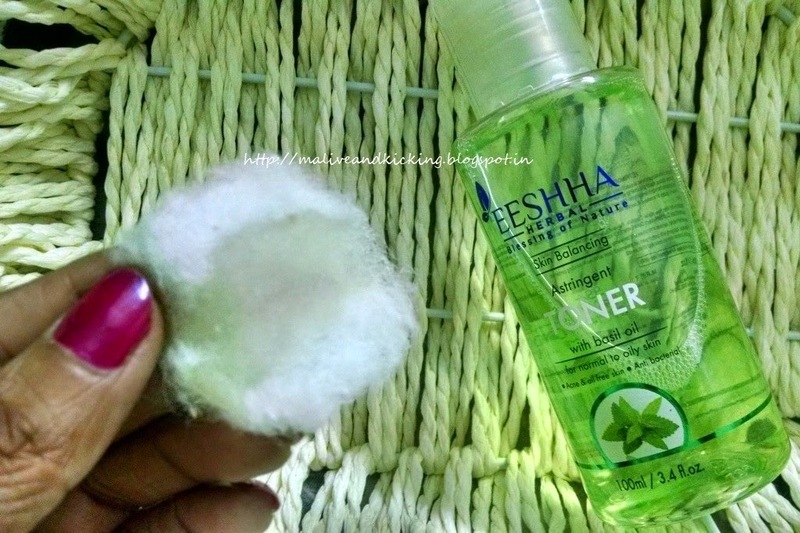 Today, I am telling you my experience with a toner that has become my favourite in very few days of usage..I got Eeshha Herbal Skin Balancing Basil Astringent Toner as a part of my complete body care kit sent by Eeshha Herbal. 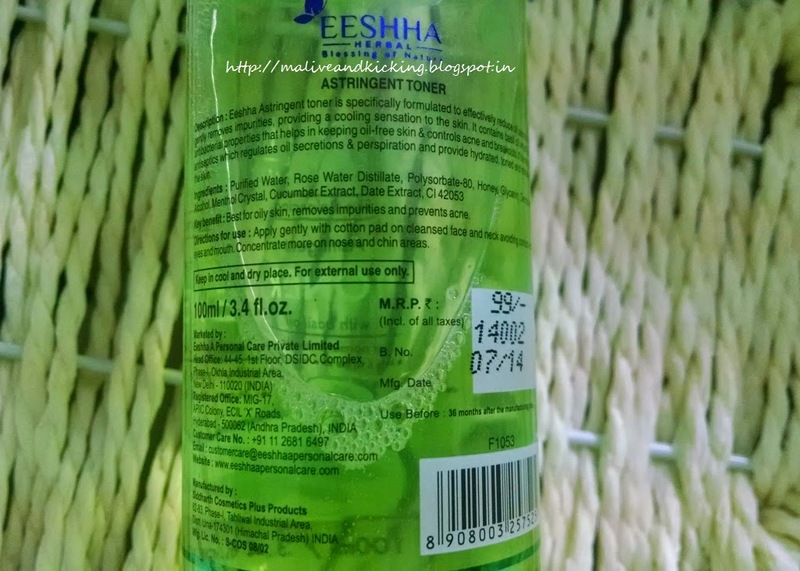 Eeshha Herbal Skin Balancing Basil Astringent Toner is specifically formulated to effectively reduce oil secretion and gently removes impurities, providing a cooling effect to the skin. It contains basil oil which has antibacterial properties that helps in keeping oil-free skin, controls acne and breakouts. It is a natural antiseptic which regulates oil secretions and perspiration and provide hydrated toned and refreshed skin. The toner is contained in clear see-through bottle. 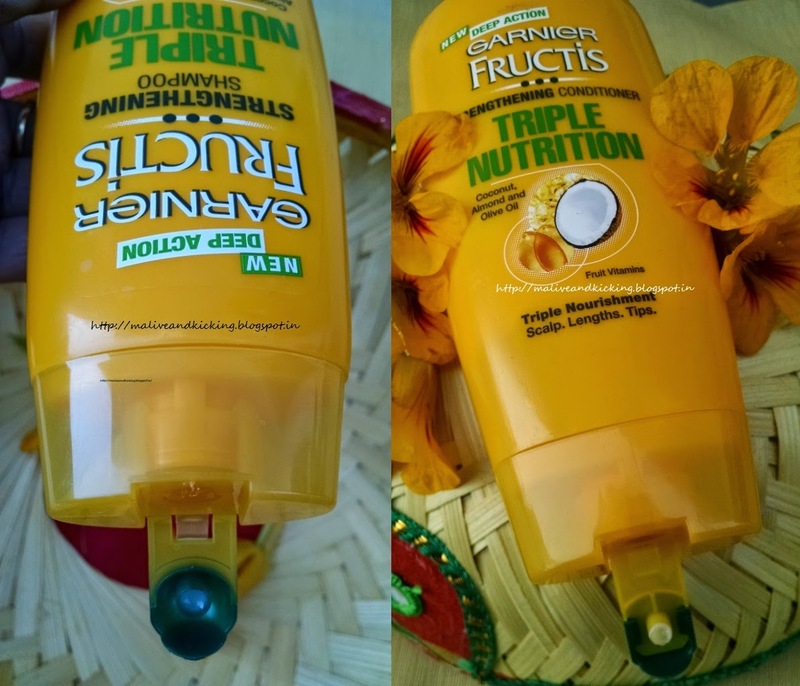 The bottle has a tight spill-proof flip open cap that avoids any chances of leakage of toner and makes it comfortable to carry even in your handbag. Ingredients: Purified Water, Rose water distillate, honey, glycerin, date extract, cucumber extract, basil oil, menthol crystal, denatured alcohol. Price and Qty: Rs. 99 for 100 ml. How to apply: Apply gently with cotton pad on cleansed face and neck avoiding contact with eyes and mouth. Concentrate more on nose and chin areas. 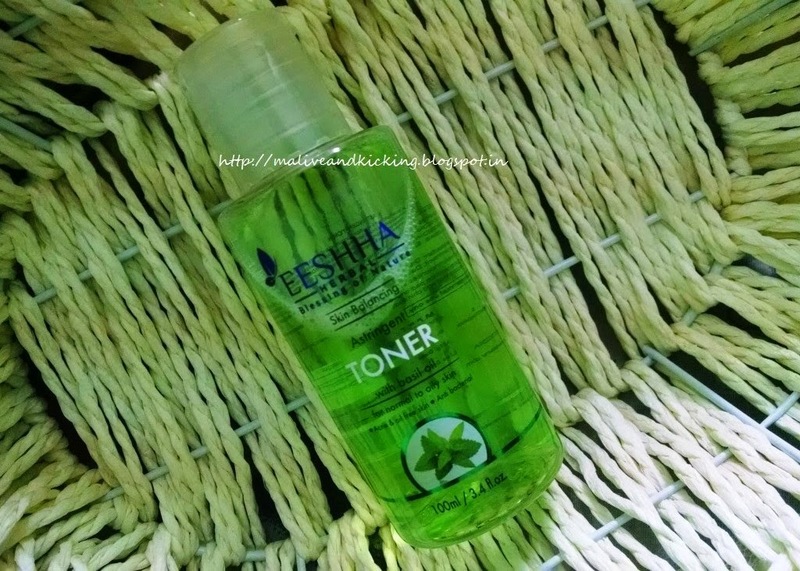 Even before application, what attracted me towards this toner initially was the Basil Oil as an active ingredient. Basil is being used for health and skin care since historic times and I personally use fresh Basil leaves in different ways. So noticing Basil Oil written on the bottle, I had high expectations from the product. The first sniff of the strong smell of the toner has been really discouraging for me. It actually didn't feel any pleasant. But like I sad, I like Basil based products, so I decided to use the product. 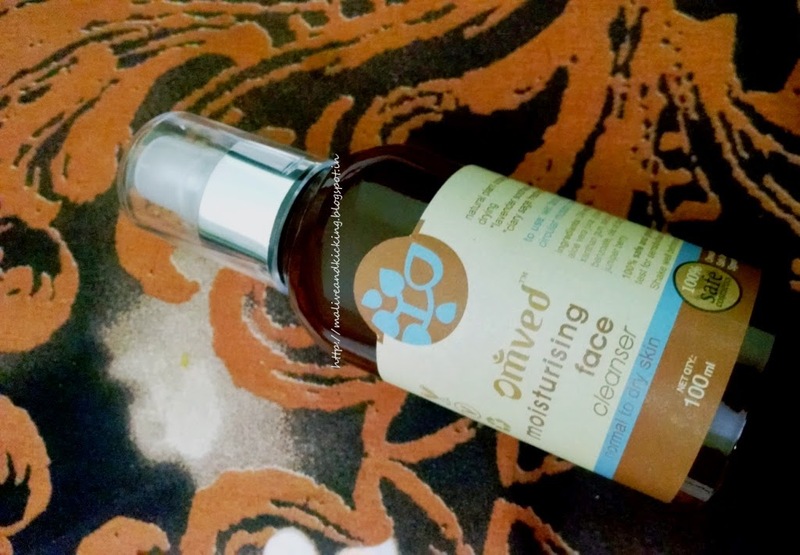 The toner gave a sharp stingy feel on my skin and also irritated my skin in the first usage. I realized the toner on my cotton pad was in excess quantity, so taken a relatively less quantity for next usage. Ofcourse, the tingling sensation was still felt but was really tolerable. Though the toner is best recommended for Normal to Oily skin, but I absolutely had no issues on my dry facial skin after its application. The toner gently removed my makeup and traces of dirt n grime from my skin. 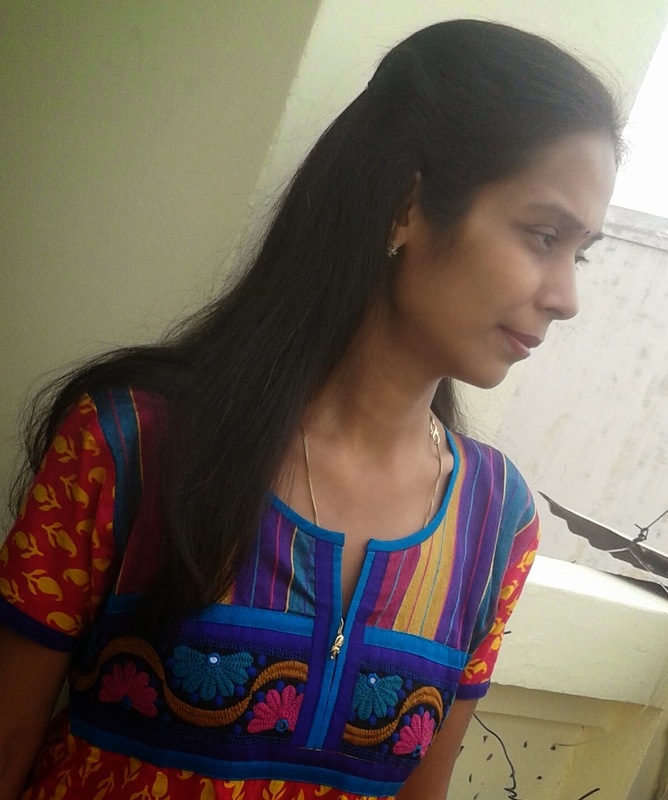 The tired and puffy look on my face after day long work was promptly calmed. I was more than satisfied with the product effects because unlike most products, this toner didn't require me wearing a layer of moisturizer. The toner efficiently restores and maintains the desired pH balance of the skin that is usually disturbed due to various factors. 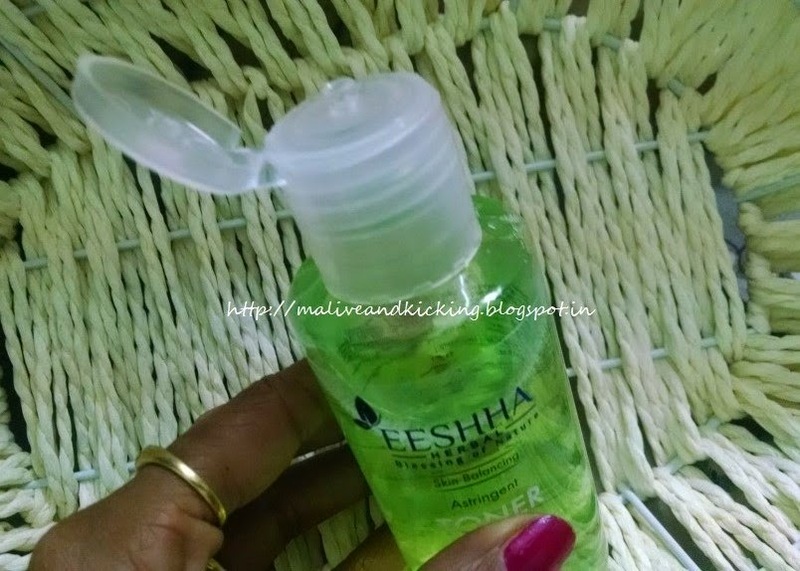 With consistent use of Eeshha Herbal Skin Balancing Basil Astringent Toner, the reduction in pore size and tightening of skin cells is effortlessly achieved that ultimately reduces the impurities to enter the skin. 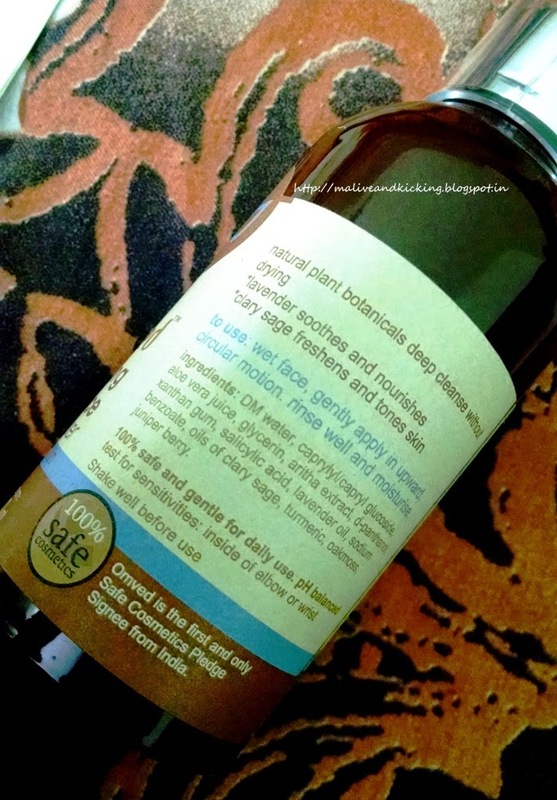 The basil oil used in the toner makes it the best choice to treat skin irritation or skin infection, so I am going to keep the toner handy as an antiseptic specially for my child. Strong Smell should be made milder. Needs to be diluted to reduce sensation on skin. 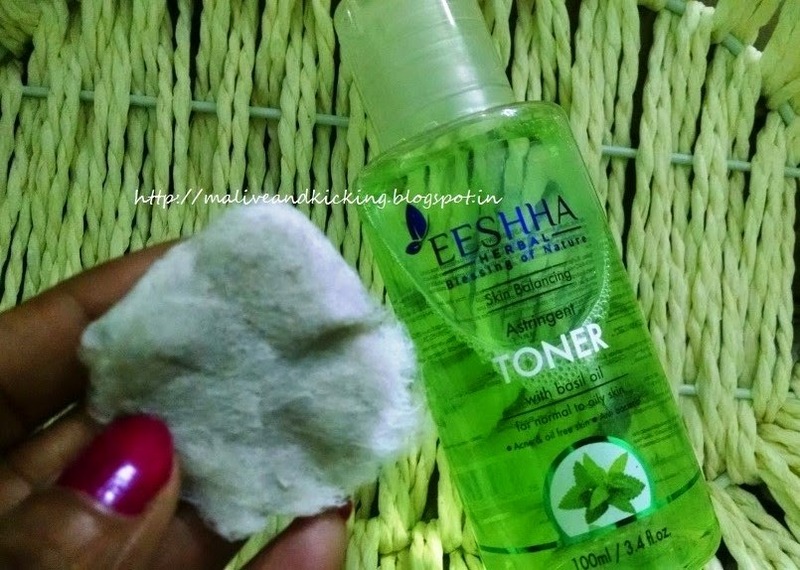 Eeshha Herbal Skin Balancing Basil Astringent Toner is a must-try skin toning product for handling most skin issues effectively. When I say 'Energy Drink', what kind of drink exactly do you think of? Most people would think of some beverages which are labeled with health benefits of their proprietary ingredients used in it. And we all defend the presence of Caffeine in such energy drinks with an excuse that our body needs certain amount of caffeine. 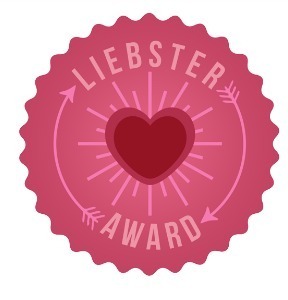 But researches have proved that so-called energy drinks can take a serious toll on our hearts.I don't know about others, but I am really scared of consuming these caffeinated beverages. 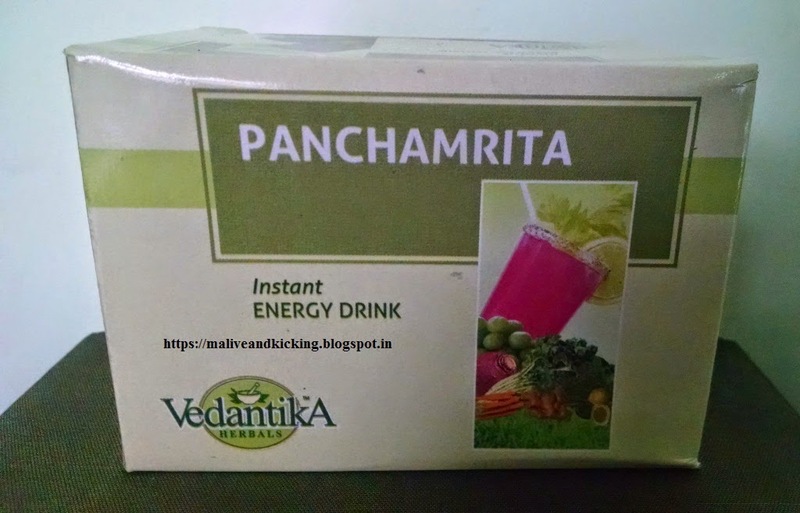 Today I am introducing PANCHAMRITA, an Immunity Booster Energy Drink by Vedantika Herbals that is formulated with a balanced combination of numerous fruits and vegetables. 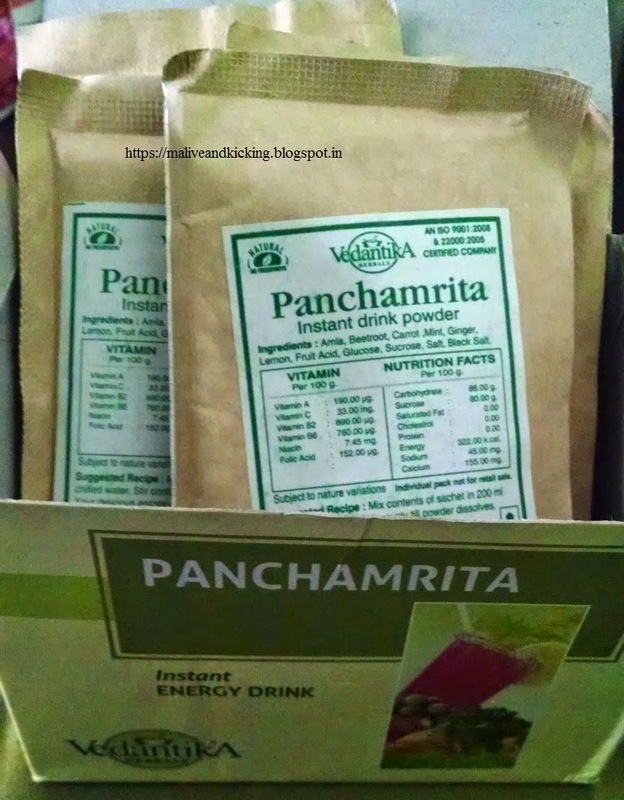 Packaging : Panchamrita is encased in a small cardboard carton containing 10 sachets. The net wt. 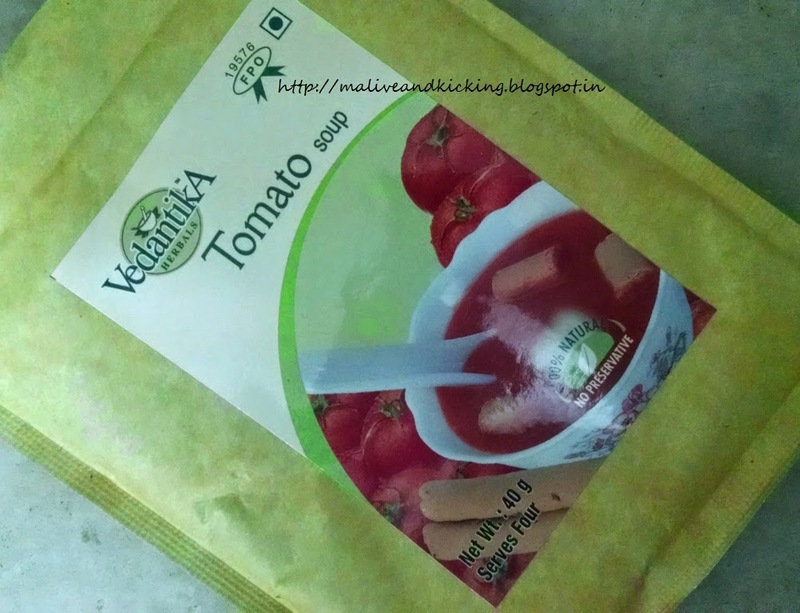 of each sachet is 25 gm. 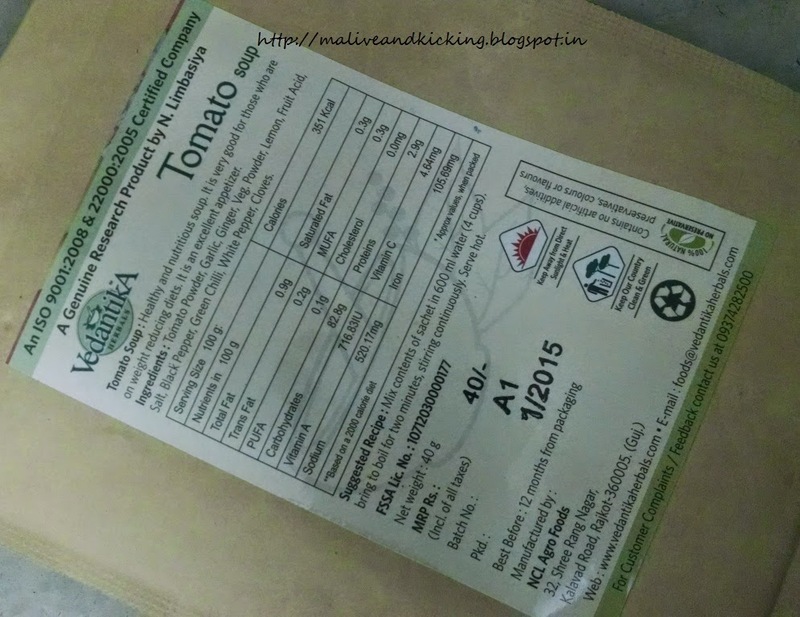 The individual sachets are not available for retail purchase.The carton shows every minute details of precise proportion of per 100 gm nutrition facts. Price: The pack of 10 sachets is priced as less as Rs 130/- which doesn't pinch buying to anybody. Ingredients: All its ingredients including Amla, Beetroot, Carrot, Mint, Lemon and Ginger are natural sources of vitamins and possess high healing properties. Amla -It is probably the richest known natural source of vitamin C.
Beetroot - Beetroot juice is considered as one of the best vegetable juices, due to its high iron content. Beet root is also an excellent cleansing agent. Carrot - An excellent aid for improving eyesight due to rich Vitamin A content. 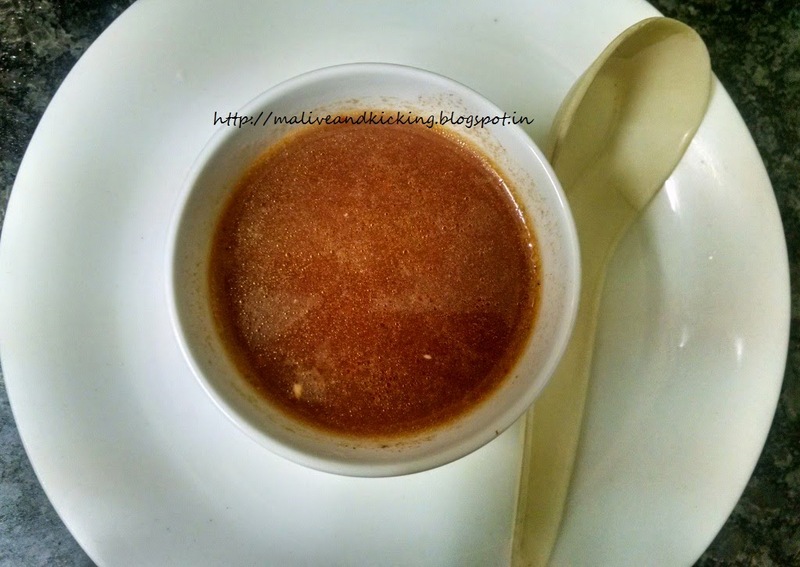 Ginger - Ginger is a digestive aid. Ginger has antiviral properties. Mint - Mint juice is a good appetizer and relieves gastric discomforts. Talking about myself, I always believed that energy drinks don't have to be laden with sugar and caffeine to work well.Though my body's requirement might adjust some extra pinches of sugar and salt, because I suffer from low blood pressure and that's why lack in energy and stamina. 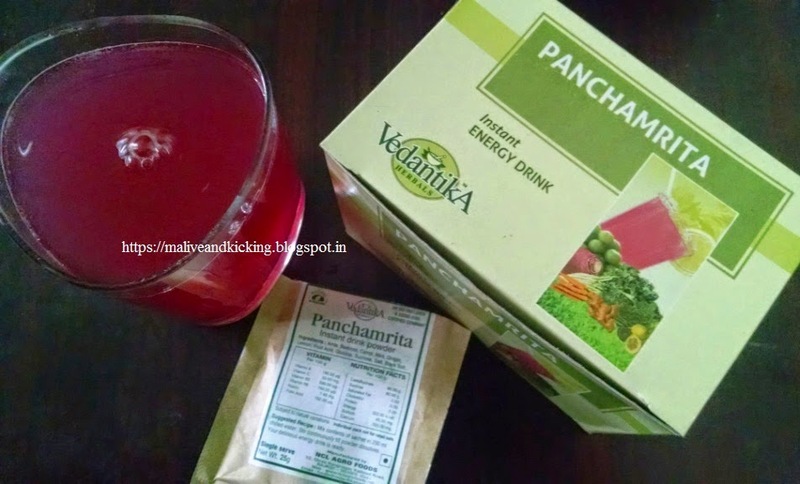 Panchamrita contains no artificial flavours or colors. I liked the typical aroma of black salt in it. It comes in finely ground powdered form in somewhat light pink color. And the moment I mixed the powder in glassful of water, it shows its true colors ;) I could instantly corelate its bright pink color with beetroot. When I tasted Panchamrita once, I actually could not help myself drink the entire drink in my glass in one go. It tastes absolutely the way I love my natural homemade energy drinks like fresh lemon juice with slight sugar and black salt in it. 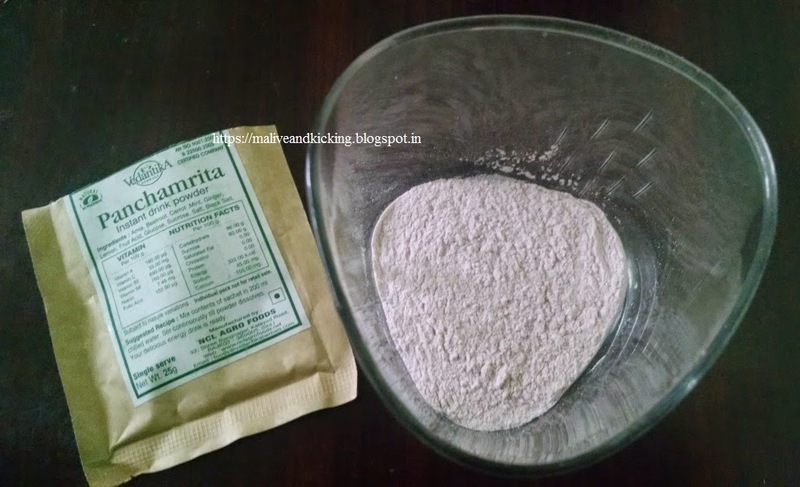 My mom would specially be relieved that now I won't be ignoring her constant advice to drink some energy drink on daily basis, because Panchamrita is so easy to make readymade version of my favourite homemade drink. 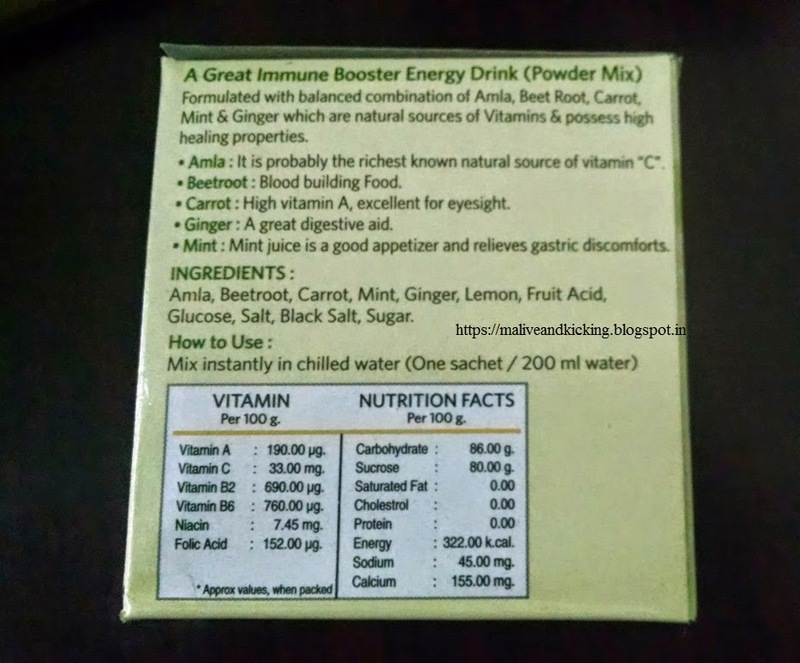 This drink is extremely beneficial for school going children, sports persons, pregnant women or anybody else who want to boost their energy naturally. 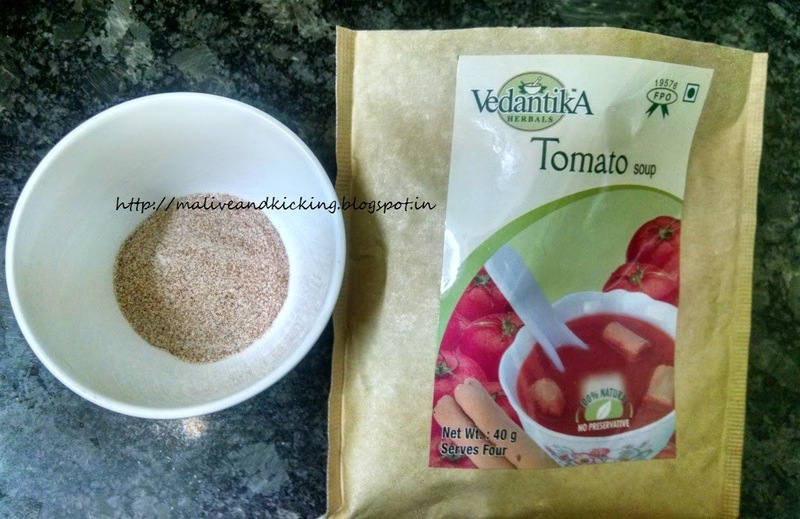 So enjoy the bliss of nature with Vedantika Panchamrita in the most natural & purest way. Firstly, I take the opportunity to thank each of you for the wonderful participation in #EthiMySkin giveaway. I appreciate the support you all provide me always. So without making you wait any more, let me take you straight to the winners list. Kindly send me your complete postal address and Phone Number via FB message within 24 hours. Everyone has to mention the choice of hamper you want for yourself i.e either for Dry Skin or Oily Skin. You may expect delivery of your prizes within 15 working days directly by sponsors. No communication will be entertained regarding the dispatch. 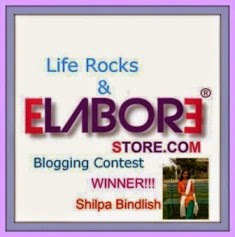 I request everyone to post your pictures with your prize whenever you receive it. 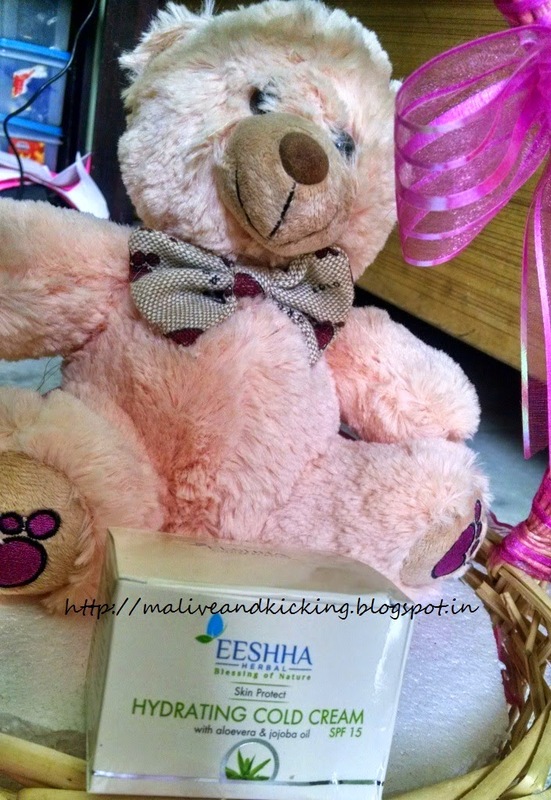 Team Eeshha Herbal has sent me a huge pack of skin care goodies long back and I am in the process of testing them on myself and my family member since many days. 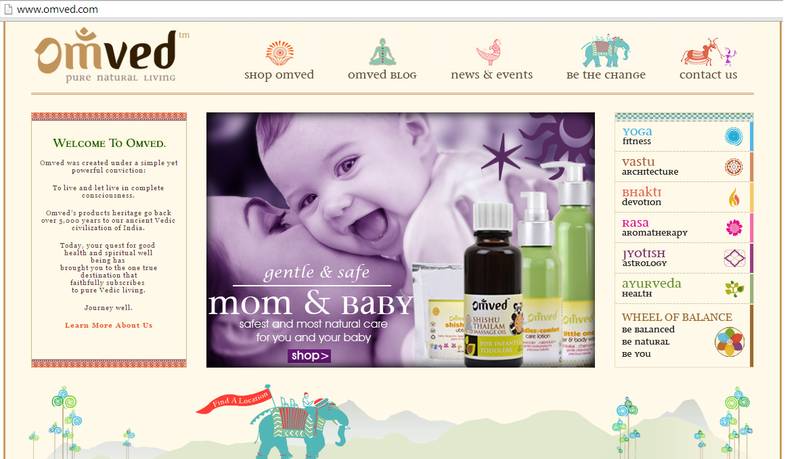 I have already reviewed two of their lovely products in past few days i.e. a kajal pencil and a soap. 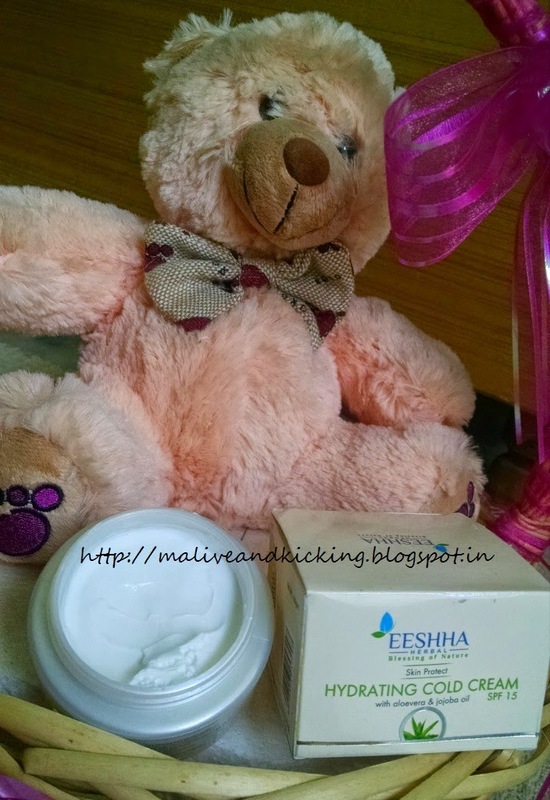 Today I am going to share my views on Eeshha Herbal Hydrating Cold Cream. Many people apply cold creams only during winter season as they find it greasy on their skin. 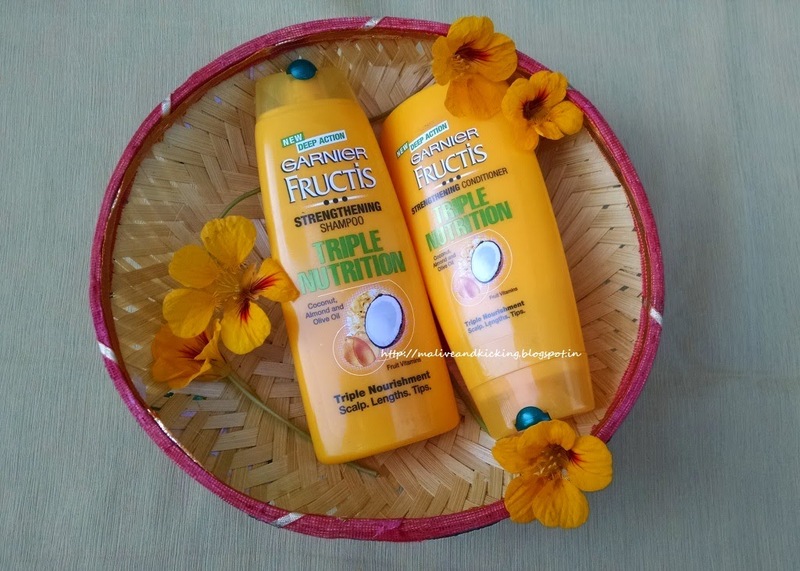 But the people whose skin needs extra moisture due to dryness, they may find this cold cream quite effective even in summer days. This rich cream contains aloe vera, jojoba butter, cocoa and Kokum butter which are excellent moisturizing and nourishing ingredients that penetrate into skin texture for healing dead and chapped skin. It is rich in essential fatty acids and antioxidants. Sun protection factor 15 shields your skin from harmful UV rays. Suitable for all kinds of skin. 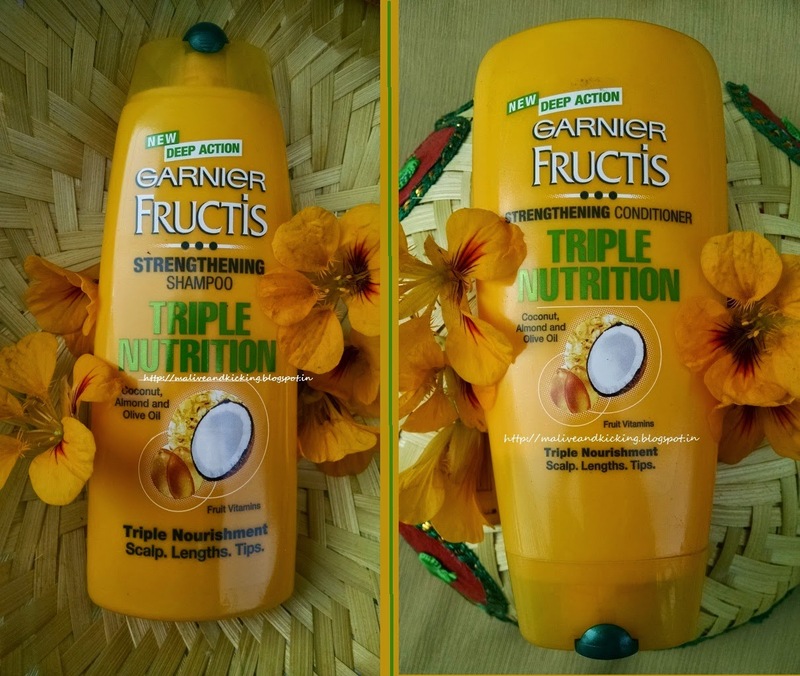 Apply after taking shower, towel dry and apply this cream generously all over the parts, with gentle massage till it get completely absorbed. Use it regularly everyday for better results. 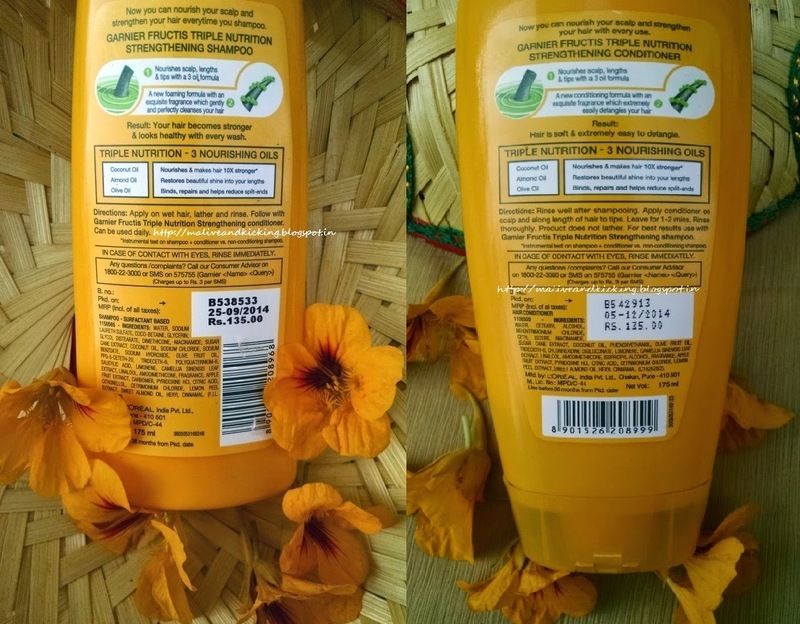 Eeshha Herbal Hydrating Cold Cream is a small jar of 50 gm content at a price of Rs 135. The shelf life is 3 yrs from the date of manufacturing. The product packaging is light colored cardboard box bearing all the product details. 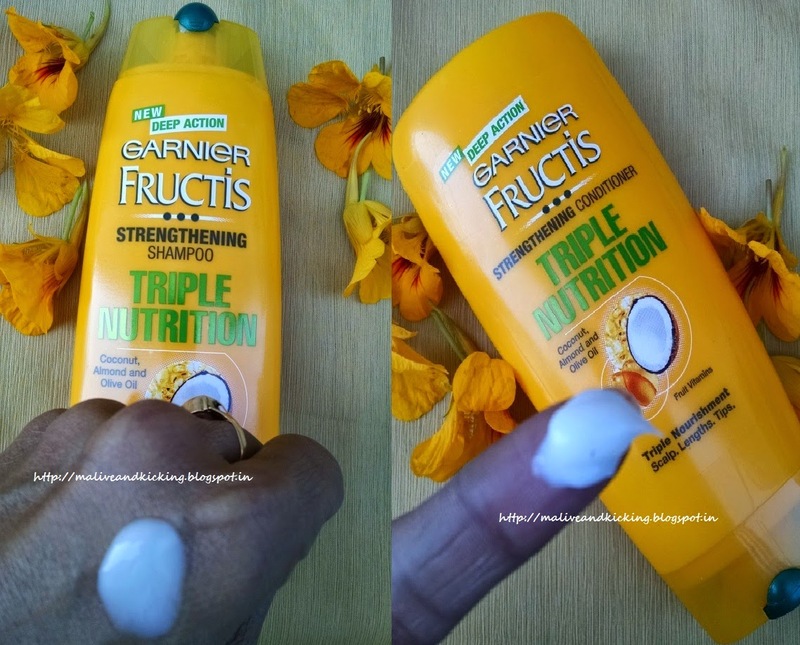 Ingredients: Cocoa Butter, Kokum Butter, Rose water Distillate, Liquorice Extract, Aloevera Extract, Jojoba Oil, Olive Oil, ,Silicon Oil, Titanium dioxide, OMC, Vitamin B12. Vitamin E.
As I first applied the Eeshha Herbal Hydrating Cold Cream on my face, the first thing that impressed me was the texture of the cream which so easily got penetrated in my skin. 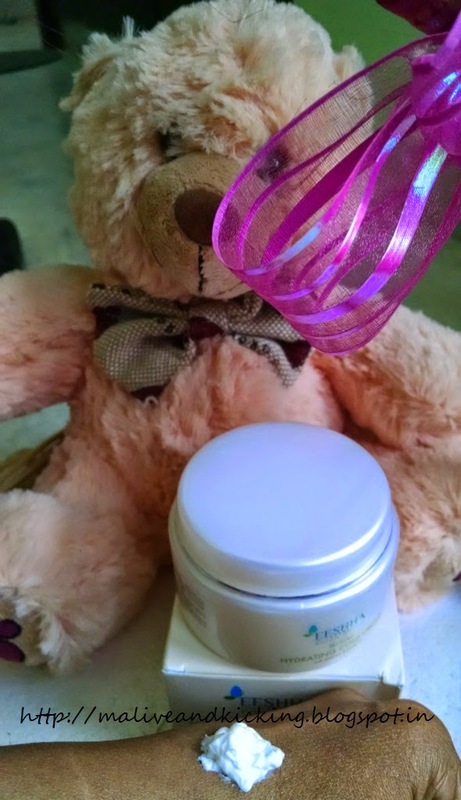 The skin felt instant hydration and deep moisture. 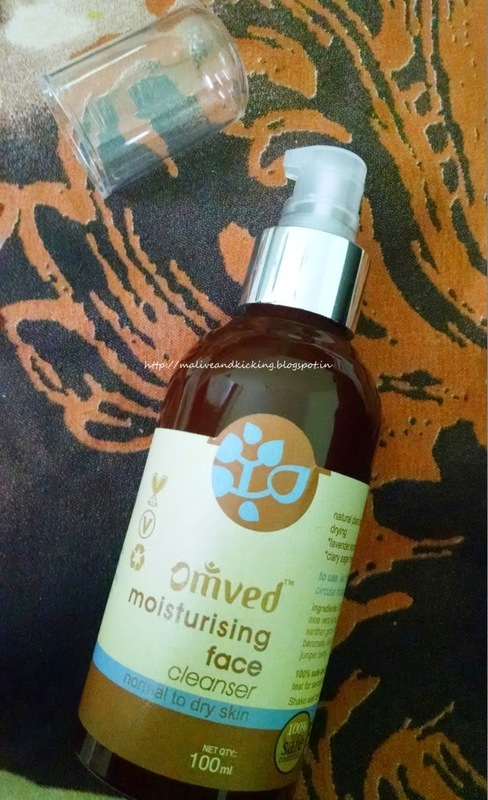 Undoubtedly, its because of the best moisturizing ingredients that give long lasting benefit. The consistency is creamy thick as we expect from any cream. And I just needed to take very less quantity to cover whole face. The cream has almost nil fragrance or I should say it does not pleases me like the naturally scented products. It may be a plus point to those who look for non-aromatic skin care products. But to me a mild refreshing smell would be an added positive, if provided. This cold cream is not only a facial cream but can also be used on any part of your body specially the elbows, neck, back and arms. The drier parts of the body feel like drinking enough moisture and the cream proves its revitalizing capacity to the fullest on these areas. 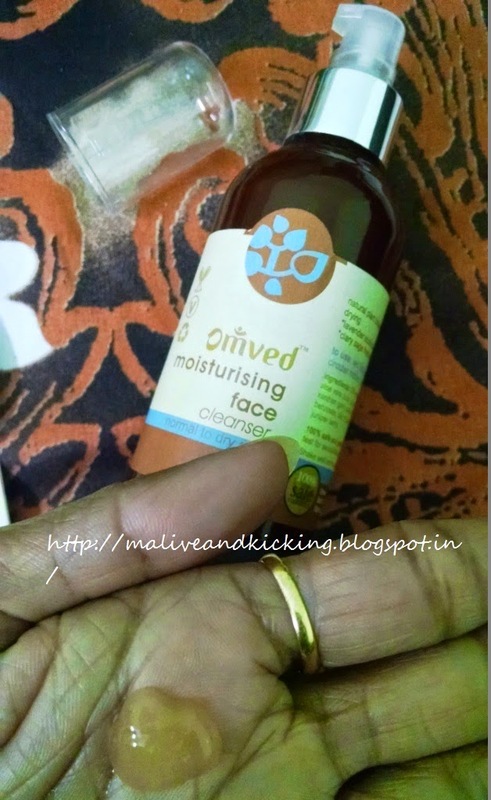 The natural ingredients actually saved me from bothering about its harsh effects on skin at all. No itching or no burning. So its a cost-effective product for making your skin soft, supple and radiant without looking greasy on the top. Can be applied on any body part. Actually Nothing!! But I just long for some nice fragrance that lingers on for at least few minutes after shower for a fresh feel. In answer to a question that I asked from myself today "What would I be doing and how would I be living, if there is nothing to hold me back...", I could record a number of life scenarios. These are the life scenarios where one or the other resource was lacking and stopped me from making my life fulfilling to certain extent. When I watched the elderly person in this IDBI Federal Life Insurance advert, I knew how important is that to be financially secure to realize your dreams into reality and remain #BefikarUmarBhar. Firstly, I want to restore my educational and professional state. Like all parents, my parents also wanted my education to be free of all kinds of hiccups. Everything worked fine other than cash-crunch :( Inspite of being a brilliant student, I could not go that extra mile and completed my Masters degree coping with utmost financial problems. I would feel blissful to paddle back to repair my disfigured education and thereby strengthen my career aspects to grab brighter avenues. So given access to unlimited funds, I wish to put a check on the my frequent health issues and ultimately want to ensure sound health by undergoing regular medical care sessions at reputed medical institutes of the town. I genuinely long for more stability and security of staying at one place i.e at my own house raising my family without any insecurities. If I am richer by that amount to jump out of lifetime-rented-accommodation situation, I believe my stress level will dip considerably. Yet another dream that is still unrealized is to kick away all the worries and prioritize pleasure in life. I am dreaming of indulging in leisurely and adventurous activities over to European destinations. How exciting will that be to bring out some passion to life and discover our planet with eyes wide opened :) I genuinely wish to see massive smiles on the faces of my family members when we all feel dazzled by beauty of the world around. Last but not the least, the one thing for which I can even forego everything mentioned above in my wishlist, is to procure a seat for my son's higher education in some foreign university where he can specialize in Automobile Design. Because if he will pursue his passion with real zest and will get bonafide guidance, he is destined to a successful life and will remain #BefikarUmarBhar. IDBI Federal Life Insurance can definitely help me grow with my dreams with its promising plans. And if you too need reasons to make your choices, look for some convincing reasons here. 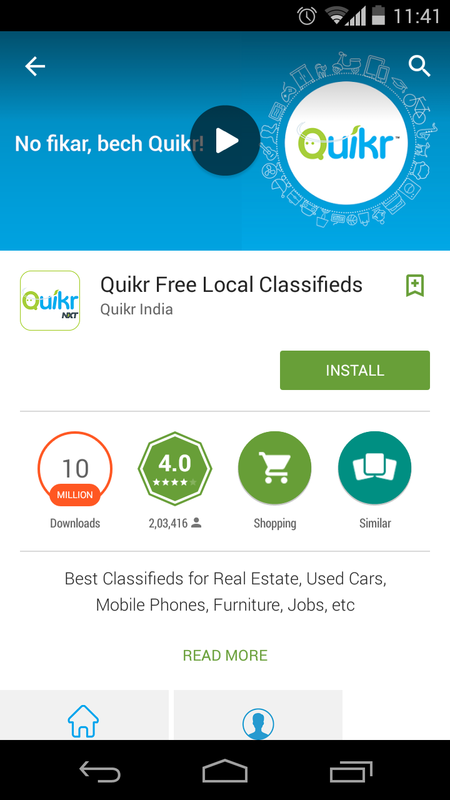 This post is written for Indiblogger's #BefikarUmarBhar HappyHour campaign in association with IDBI Federal Life Insurance. Without much delay, here is how you can win some hampers ...Read the rules below. 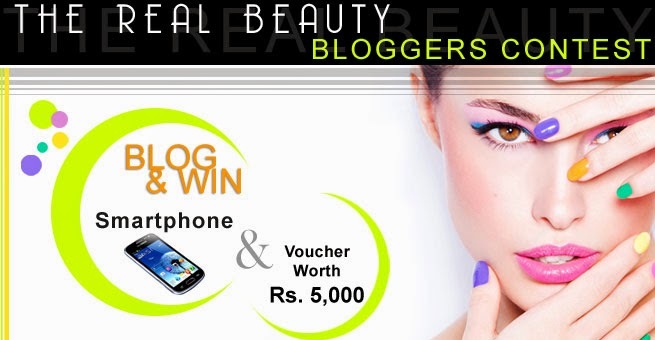 Share the giveaway on your Facebook timeline tagging both the pages and your friends. The giveaway starts today on 14 Feb and will end on 21 Feb, 2015 (both days inclusive). 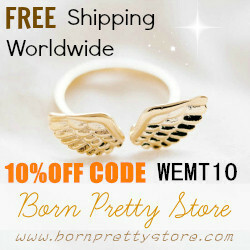 The result will be announced by me in co-ordination with the brand within a day or two after the closing date. 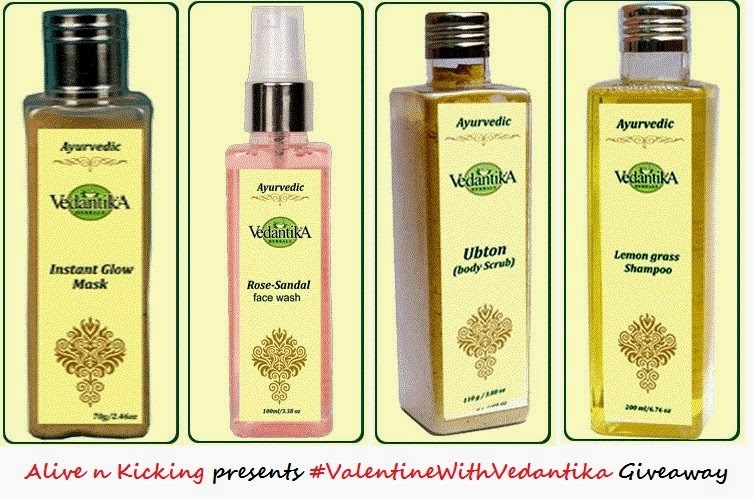 There will be 3 winners who will win a lovely hamper consisting of 4 wonderful products each. 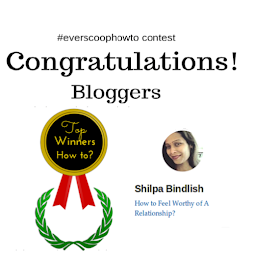 The winners will have to provide the postal details within 24 hours else the other deserving winner will be selected. Share n invite friends everyday.